﻿ Cristiano Ronaldo to fire Real Madrid to La Liga title? 05.09.2017 » Cristiano Ronaldo to fire Real Madrid to La Liga title? Without a shadow of a doubt, Cristiano Ronaldo will go down in history as one of the most successful footballers of all-time – and rightly so. Since 2006, Ronaldo has been at the top of world football alongside arch-rival Lionel Messi and both deserve to be recognised as true icons of the modern game. In the 2016/17 campaign, Ronaldo's Real Madrid got the better of Messi's Barcelona as Los Blancos won the La Liga title and a record 12th Champions League crown. With those triumphs, Ronaldo has almost certainly secured another Ballon d'Or award – the winner of that particular accolade will be announced at the end of the calendar year. But for now, Ronaldo will be firmly focused on the La Liga title race for the 2017/18 season and it is sure to be an exciting and entertaining campaign. For the first time in years, Real were fairly quiet in the transfer window on the whole; Zinedine Zidane is satisfied with his current crop of stars. And compared to Barcelona, Real have had an outstanding window. Neymar left Camp Nou for a world-record fee of around £198 million, but La Blaugrana failed to act quickly enough to replace the Brazilian. Yes, Ousmane Dembele signed from Borussia Dortmund, but the club were unable to sign Philippe Coutinho; their primary target throughout the summer window. With 25 or more goals in each of his last eight La Liga seasons, Ronaldo is a proven scorer in Spain's top flight and he will be in the mix for the Golden Boot again in 2017/18. 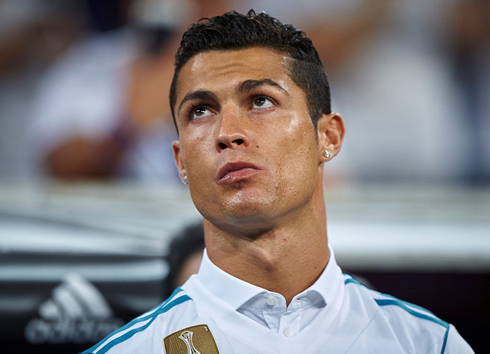 The Portugal star has been suspended for five La Liga games, but plenty of Ronaldo fans will be backing him to score more goals than his La Liga rivals this term. Pipping Barcelona to the La Liga crown would be nice, but retaining the Champions League may actually be Real's primary target this season. 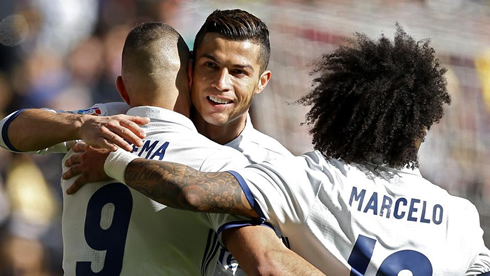 The group stages are now set and Madrid will be confident of reaching the knockout round. 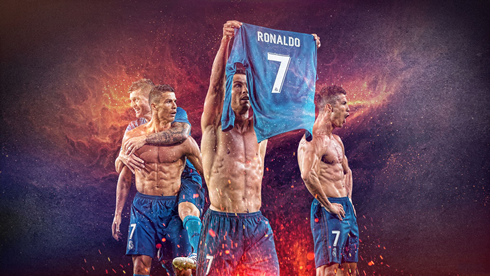 Most UK online bookmakers will be covering Europe's elite club competition and plenty of tipsters will be backing Ronaldo to challenge the likes of Messi, Robert Lewandowski and Neymar for the top goalscorer award – he has won the award before and he could win it again in 2017/18. Ronaldo isn't getting any younger and his five-match suspension won't help his chances, but if anyone can defy the odds to lead his side to victory, it is Ronaldo. Endeavour and effort have been key to his illustrious career and he looks set to improve further in the coming months. Real Madrid are building a dynasty and the evergreen Ronaldo is still capable of being the main man for a few years yet. Cristiano Ronaldo next game is for Real Madrid on September 9 of 2017 against Levante. You can watch Juventus live stream, Real Madrid vs Levante, Barcelona vs Espanyol, Stoke City vs Manchester United, Arsenal vs Bournemouth, and Manchester City vs Liverpool, all matches provided from our live football game pages.